Fine china and Harney & Sons Wedding tea featured prominently at the wedding of Samantha and David Howarth in March 2016 at Orlando Country Estate, Marton. It was only fitting to visit The Langham for afternoon tea on a crisp Spring day in the City of Sails. The decor was the first thing that blew me away – look at that chandelier! The sweet tier. My favourite was the citrus cake pop. We were advised to start with the sandwich tier. Simply perfect. Savoury macarons! Although the shell was still sweet with a savoury filling. An interesting concept however I am not convinced, I believe macarons belong on the sweet tier. I also would have liked more diversity on this tier between cheese and seafood flavours with creamy textures. Isn’t the presentation gorgeous though?! The Langham has its very own Wedgwood tea set – beautiful! The tea menu was designed by The Langham’s exclusive tea sommelier, New Zealand’s only Master of Tea! The menu for those of you detail oriented people. Overall, the experience was well worth the $59 each we paid on a Saturday afternoon. If your taste buds are as against the anti-sugar movement as mine, then rejoice in the fact that Sweet Bakery and Cakery has landed in Karori and that it’s as gorgeous as expected. My pick of the bunch was the salted caramel popcorn cupcake and the raspberry chocolate brownie. Pretty, fresh blooms and all – swoon! Harney & Sons Paris Tea – only the best! I have discovered a treasure of a destination for High Tea on the outskirts of Levin. The Emporium boasts an adorable gift shop with both new and preloved homewares, jewellery and clothing. Out the back of the shop is where you will find a quaint cafe where you can visit for lunch or afternoon tea. The whole place has a gentle, relaxing, Frenchy feel about it. It doesn’t take much to see that it is the dream of owners Terry and Andrea brought to life. Before we were seated, we were shown to the cabinet to select our choice of trio set. A nice, personal touch I thought. Because we booked for three, we were treated to a complimentary glass of sparkling grape juice on arrival, our tea order was taken and it wasn’t long before both the tea and food was brought out to the table. The whole experience was a delight, the food was fresh and delicious. I will definitely be returning. Yesterday I spent the afternoon with my beautiful Grandmother, Wendy Bovey, and we shopped at the local Antique stores and secondhand shops until our hearts were content . To me, antique stores are more than rooms full of bone china, porcelain, crystal, silver and glass, they have captured moments in time, every piece has a story whether or not we know it. I do think it is a shame that so much stuff gets lumped into auction without the background and history being properly understood. Too much emphasis is placed on the monetary value of items, money that is then spent on things that do not carry the same sentiment. If you have the opportunity to, spend time with your elders and learn about the items they treasure and why, you might just find yourself pleasantly intrigued. Spending the time with my Grandmother was special in itself, as I picked up crystal bowls or glass perfume bottlles, she would explain to me how those were used for loose powder and that perfume didn’t necessarily come in attractive spritzer bottles back in the day so women would transfer them into bottles they treasured. My very thoughtful Mother-in-law to be picked up this gorgeous book for me at the local library and I just had to share it with you. I’m in love, if only this is what I had to study today instead of my legal text book! We had the most magical Saturday morning. It was the second time we visited Poppies Winery and the service was as impeccable as our first visit. Poppy is so very passionate about her wine, she talks about it as if each varietal was her favourite child. The venue is absolutely beautiful, you can just tell that this is her and her husband’s dream brought to life, a real labour of love. We ordered a glass of 2014 Sauvignon Blanc and a tasting platter. 16 variations of deliciousness lovingly selected from local produce. Poppies in Martinborough is well worth the visit, especially on such a stunning day. Welcome to the High Tea Honeys. We are a warm and friendly group of tea and cake loving women, hosting regular in-person events in Wellington, NZ. 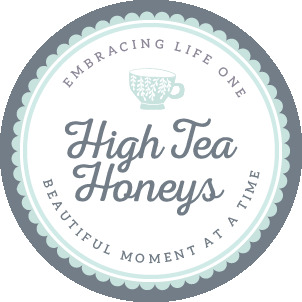 Our online home is here to share our favourite moments, places, tea discoveries and tea party fashion and accessories with you. Pour yourself a cuppa, get comfortable and take your time visiting our site. We’re so pleased you found us.